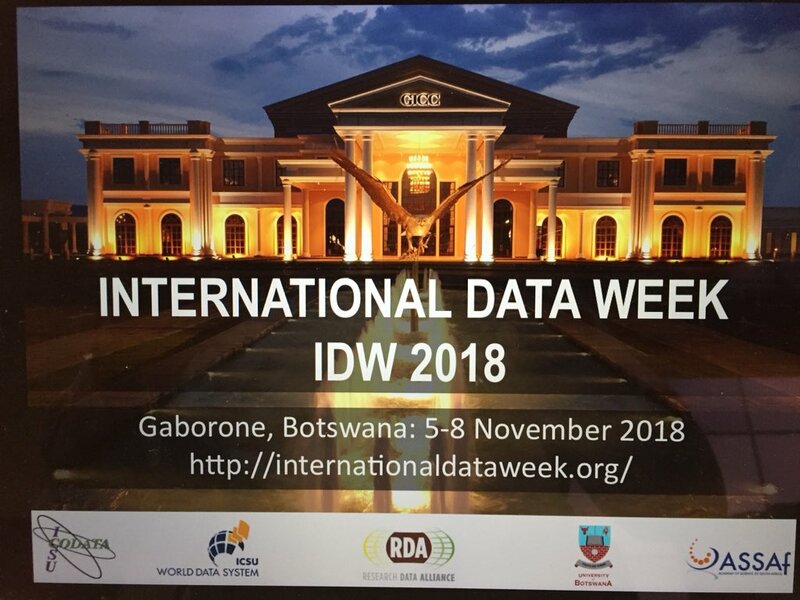 As an oceanographic data scientist when I said I am going to International Data Week and it is in Botswana tended to elicit a common response from my colleagues which would include “but that’s landlocked”. So why would an oceanographic data scientist go a meeting in a country lacking a coastline…? Let us briefly begin with the RDA. My involvement with the RDA began with the topic of digital object identifiers and their potential application to data that grow, update, and evolve with time. Developing a link to the RDA and its member was became crucial to progressing the work. Now my involvement with RDA is much broader. The RDA is a key forum for discussion of FAIR principles, the working group on persistent identification of sensors will produce key recommendations I need for my work on autonomous ocean observation, and I share common research and development interests with the group on aerial drones i.e. many of the data problems we work on are agnostic of the discipline. Some more detail on my interest in the outcomes of the group on persistent identification of sensors. 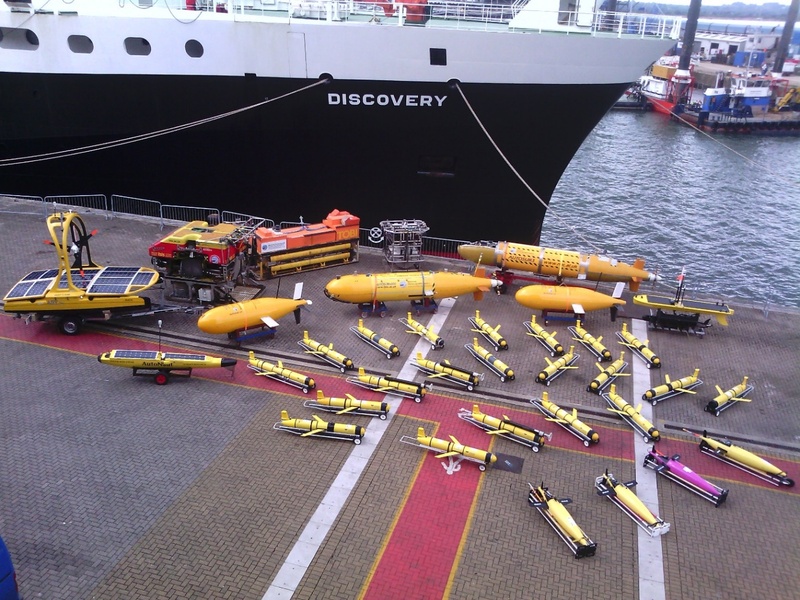 The organisation I work for has a fleet of autonomous ocean observing platforms. These can be equipped with a range of sensors including temperature, bio-optical, nutrients, chemistry passive acoustics etc. These sensors can be interchanged and moved around platforms and evening institutions. It is becoming necessary to uniquely and unambiguously identify sensors and their associated metadata. Currently we can uniquely identify sensors and there metadata at the institution level. Examples of such sensor registries are the Esonet yellow pages or the sensors on data/metadata endpoints such as 52N clients (link to the client at my organisation). The persistent identification of sensors working group will give us the ability to assign globally unique persistent identifiers to sensors. The working group is progressing well with a draft schema open for review. If you have any comments or feedback on the schema please contact the working group. International Data week is not purely about RDA activity though. The developing world is becoming key partner in research activities. From the perspective of an attendee the week in Africa gave me an opportunity to learn about the challenges around collaborating with Africa such as reduced access to the internet (a major challenge as a data scientist). The week covered the ethical considerations when working with the developing world such as ensuring that your research benefits the communities a on both sides of the collaboration. Understanding these issues will be key to developing collaborations with African countries under funding stream such the UKRI ODA funding streams. Additionally, collocating Scidatacon and World Data System (WDS) meetings with IDW enabled me to increase my knowledge and learn about the WDS network. Understanding CoreTrustSeal will be important when applying for certification. To summarise, in a week at IDW; I have developed and worked on my RDA interests and activities, begun to understand the unique challenges that working with Africa countries entails, was introduced to new ethical considerations in research, clarified which elements of the FAIR principles are the current high priority, shared my knowledge on the data management of data from autonomous platforms with the aerial drone working group, and attended a WDS meeting for the first time. All thanks to an expert grant from RDA Europe that supported my attendance. So why would someone from the oceanographic domain want to a meeting in a country lacking a coastline…? The issues we are working on in data management and data science within the RDA, WDS, and CODATA are common to many disciplines be they scientific or humanities. The response shouldn’t be ‘but that’s landlocked’, it should be ‘what can we learn from, collaborate with, and share with other academic disciplines’. 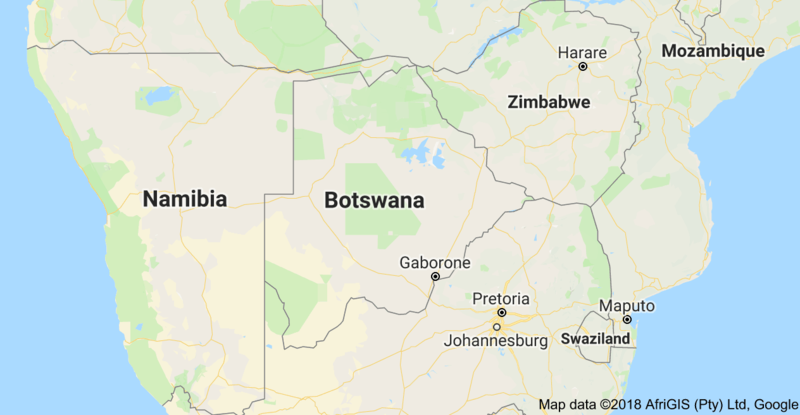 There are 1 comments on "Botswana… but that’s landlocked! ".